• I loved, but took with a crappy camera, so I have a picture that probably would've been clearer if I took it with my iPhone. 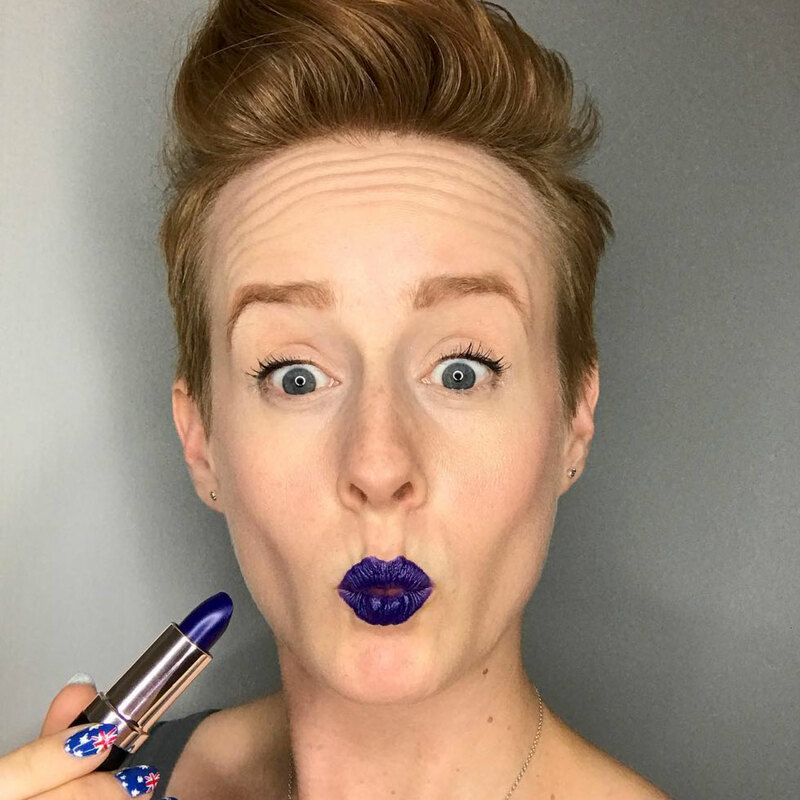 • I loved the concept for, but the execution sucked. • Were ok to begin with, but I think I can make them better now. • My cuticles/nails were in HORRIBLE, embarrassing, disgusting shape. I've decided to do a new feature where I choose designs from the past every once in a while- maybe every 2-3 weeks or so? Maybe each month? and redo them the way I think they should be done NOW! For the first of this series, I of course chose Bacon is Great! Seriously, did I have any other option for the inaugural design?! So here you go, the design that put this blog on the proverbial 'map' — Bacon! okay i am loving the new shape, and what a great idea, looking forward to seeing some of your greatest hits remastered! A fun and lovely mani! Love this idea. Can't wait to see how you can improve on what is cool to begin with. I love this idea for revisiting old ideas. More bloggers should do it! And yes, bacon is great. 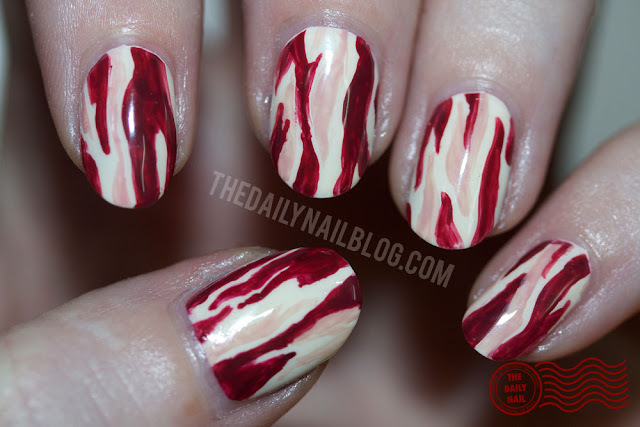 Omg...bacon nails! That is great! Now I've seen it all! !